Selling your products online is one of the best ways to reach your customers and increase sales. Amazon.com makes this process easy by exposing your products to its extensive and loyal customer base- an estimated 85 million monthly unique visitors! Selling on Amazon instantly connects you with customers who may not have found your company otherwise, but discover your products while searching for similar merchandise. It’s not difficult to see why so many new companies begin their sales on Amazon. Why do I need UPC codes for Amazon? In 2008, the company changed their regulations to require UPC, EAN, or ISBN bar codes for Amazon. They did this because scannable bar codes reduce shipping time and make it easier to ensure that the correct package is shipped to the correct customer. Today, almost all items sold on Amazon must have an EAN, UPC or ISBN product identifier. I have manufactured my own product. Do I need a bar code for Amazon? Yes. For all your individual “private label” products, you will need a unique bar code number. 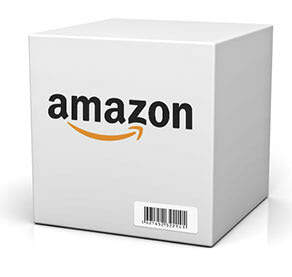 If you are reselling a product that is already listed on Amazon, you will not need to enter a UPC or EAN code. If the product isn’t already listed on Amazon, and you did not manufacture it, you will need to supply the UPC or EAN already assigned to the product from the original manufacturer. How do I sell my product on Amazon? This is a three step process. In step one, you’ll need to set up a seller account. For step two, you’ll need to upload your inventory. Finally, in step three, you will need to label your products. For more information on each of these steps, take a look at our description here. I’m shipping my products to Amazon’s fulfillment center before shipping to the customer. Do I need a label with my bar code? Yes. Amazon has very strict rules concerning UPC and EAN labels. It’s best to acquaint yourself with these rules first, before purchasing your bar codes for Amazon. Where can I buy bar codes for Amazon? Bar Codes Talk has been supplying high quality bar codes at the lowest prices available. There’s no need to make a minimum purchase or bulk order- buy as many or as few bar codes as you need. There are no renewal fees- simply pay once for your bar codes and use them on your items for life. For more information on Bar Codes Talk, visit our FAQ section, or contact our team today!